I learn crochet by reading tutorials online and also from this book called ” Uncommon Crochet “. During the learning phase, I practice making swatches, little swatches of circles , squares, and ovals. 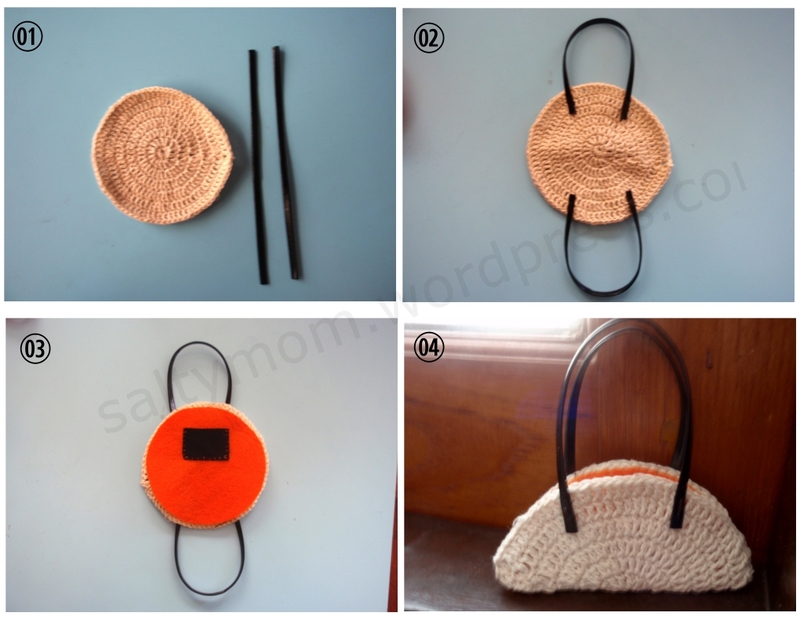 Here, the doll’s bag is made from a circle swatch, about 10 cms in diameter. I use cotton yarn ( those used in making doily ), and did 7 rounds of half double crochet with a no. 3 hook. Actually , you can just make it with any small hook. 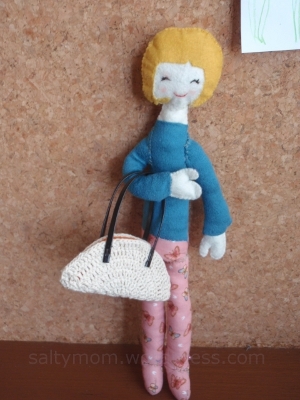 As long as the bag is proportional to the doll , it will turn out fine. Sew the faux leather straps onto the crocheted circle. Sew the rectangular felt onto the circular felt. Then sew this piece onto the crocheted circle. Fold it in half and sew both ends to make the side of the bag. Mine are about 2 cm long. I also have a Fail! piece when I tried making *something*. I turned that into a hat. Free toys for my kids :P. Mwahhaaha. that doll with her little bag is too cute, love her expression! thanks ! 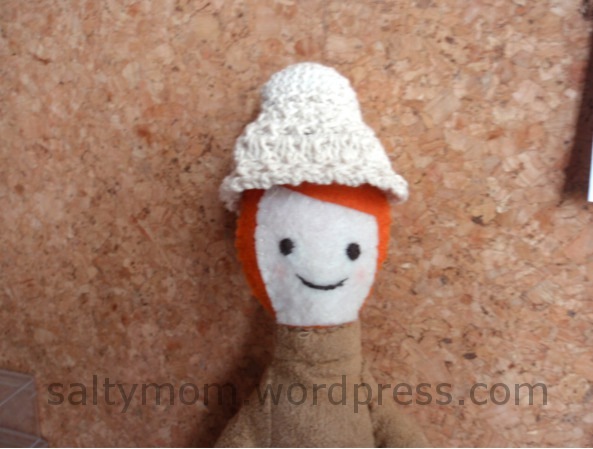 that doll is from a pattern with the head and hair changed to my daughter’s drawing 🙂 Your dolls are super cute, wish I could sew as neatly as you !